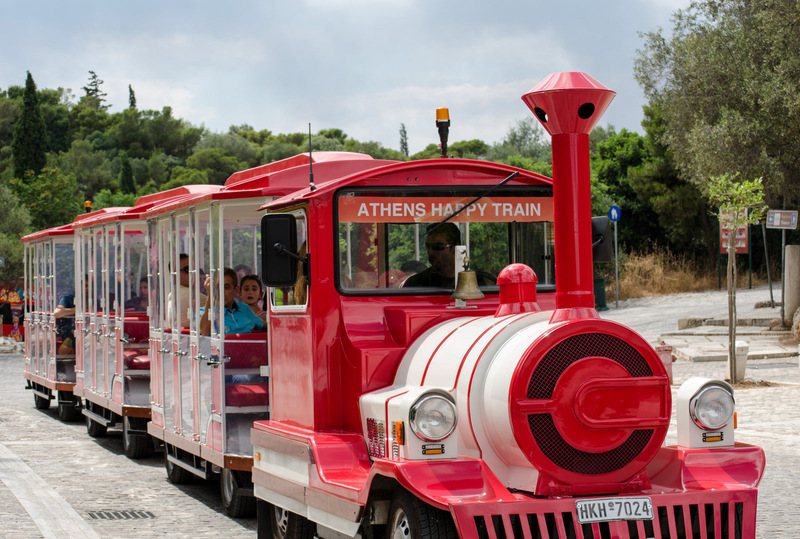 Visit the historical center of Athens with Athens Happy Train Athens Sightseeing with the Athens Happy Train If you want to enjoy an amazing sightseeing tour in the historical center of Athens and the capital's most famous ancient sights and monuments, hop-on the Athens Happy Train. 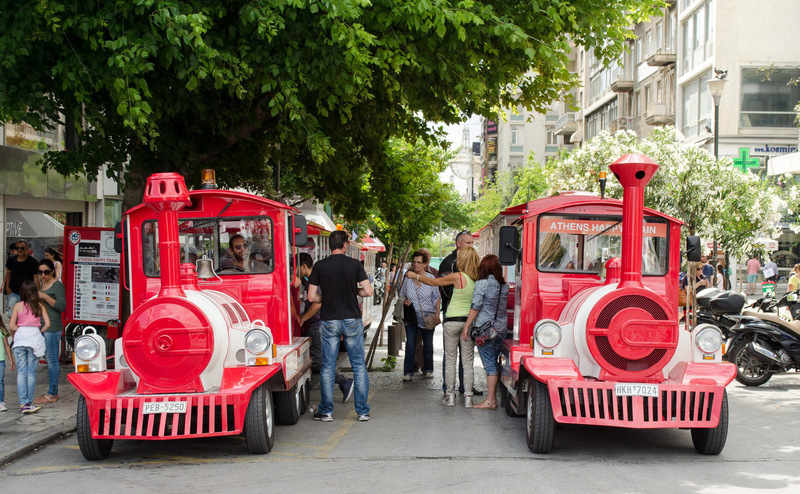 The Athens Happy Train is a toy-like street train that starts its sightseeing tour from the Constitution Square (also known as "Syntagma") and follows an amazing route through the historical center of the city, the old neightbourhoods and the hill of Acropolis. 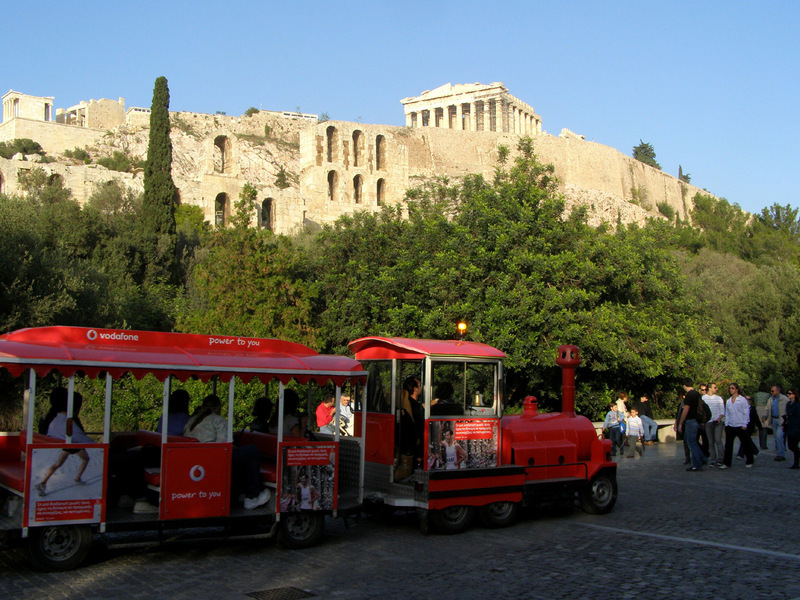 The tour has a 60-minute duration and takes in Athens's most famous sights and monuments including Acropolis, Temple of Zeus, Zappeion, Panathinaiko Stadium, Theatre of Herodes Atticus, Hadrian Arch, New Acropolis Museum etc. 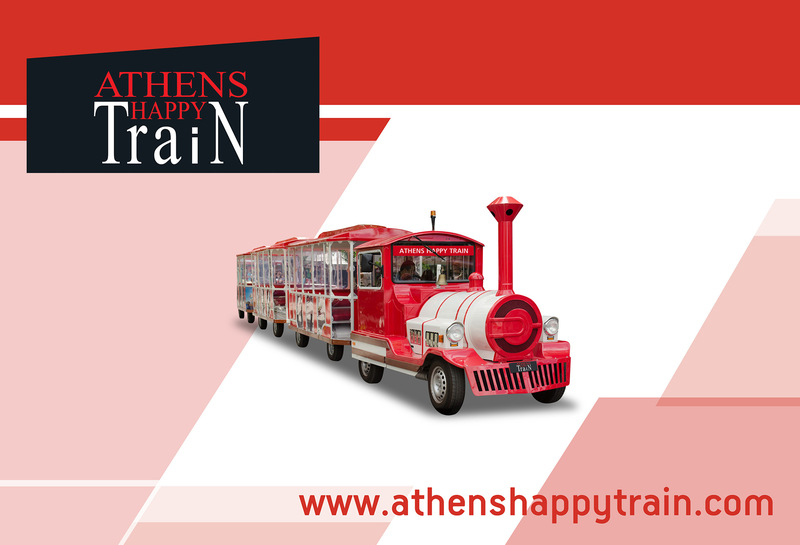 Enjoy fantastic views from the open-style train carriages, hop-on hop-off as you please and see Athens in your own time and at your own pace, in safety and comfort. 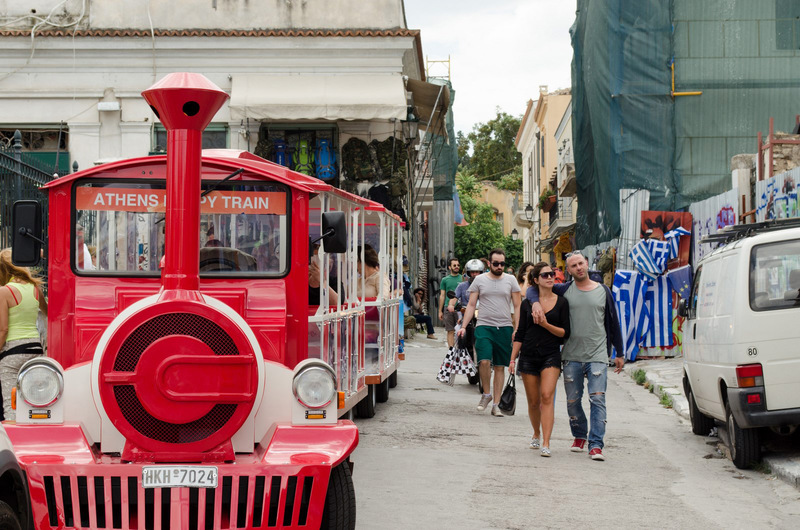 Hop-off the Athens Happy Train in Constitution Square to explore the streets of the oldest neighborhood of Athens. 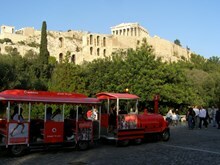 You can also hop-off in the New Acropolis Museum to visit the hill of Acropolis, the Parthenon or the museum. If you like to spend your time there, you can use the same ticket and hop-on any of the next trains for the next 2 hours. The Athens Sightseeing Tour with Athens Happy Train, operates all year round. Our trains starts the tours at 9.00 a.m. until 12.00 p.m. every 30 minutes, all the days of the week. All our tours are guided with hostess or steward on board and multi-lingual commentary in English and Greek.